What is a Muse? It’s such a hackneyed Romantic concept, but I don’t know what else to call this phenomenon. A Muse is a Being who compels us to create. That feels different from the support and encouragement that comes from one’s real life partner, the one who is in the trenches with you, paying the bills, repairing the plumbing, waiting up for teenage children to get home safely, negotiating whose family to spend the holidays with – all the unglamorous, unending and essential tasks that go into building a life together. A Muse on the other hand is an idealized being who inspires expression. It’s hard to embody that ideal when you’re up at two a.m. clutching a screaming baby and covered in projectile vomit. It seems quite unfair to ask one’s life partner to add being a Muse to the job description. So what makes someone a Muse? What makes so many people find a Muse in Adam Lambert? It has something to do with his approachability and humility combined with swoon-inducing beauty of voice and physique. It also has something to do with his having struggled, been in pain, searching for love. You want to create something that will amuse him, comfort him, seduce and excite him. You want to meet him, become his BFF, become his lover. And you want never to meet him, to preserve him as a perfect being who can continue to stoke your engine. He can be the object of an exalted, pure and uncomplicated love, because he is created by Art. Your analysis is so well-written and rings true for me but I’ve been thinking about one thing you wrote in this excerpt: “and you want never to meet him”. At first, I thought that there would be absolutely no question about wanting to meet him. Then I realized that I am in such a great place right now…our muse has stirred up so much passion and it is such an exciting time for all of us who share this obsession. I am so grateful to be sharing this journey with you and all the wonderful Adam fans I’ve met. The anticipation of each new adventure and the delight in the pursuit and discovery Adam-related treasures brings back feelings that had long been buried beneath years of “…all the unglamorous, unending and essential tasks…”. So perhaps meeting Adam and becoming his new BFF might mark the end of this “pure and uncomplicated love”. The end of this exciting ride that we’re all on together. I’m not ready for that just yet. Everything is perfect just the way it is! I look forward to reading more of your insightful posts. ADAM has been my muse for the last year while I’m up late at night trying to perfect the scenes that I’m writing for my vampire romance series. I can’t explain how he inspires me with his music, his pictures, his videos but he just does. I find myself being much more creative than when I’m not listening to his sweet voice during the ballads and then rocking me out to the pre-IDOL songs; the songs he sang on IDOL and on the tour and now with FYE. All that I know is that he just makes the words flow and the love scenes more hot and vivid. I can’t wait to get to Fantasy Springs and see this beautiful man and hear his voice taking me away from the RW for one glorious night on Feb. 27th. Ohhhh I could spend 365 days and nights in his company and it would never be enough. He just envelopes all of us in his love and warmth and never ever makes us want to leave. Thank you for all of the beautiful things that you’ve said about ADAM in your blogs! I got your book “The Meaning Of Adam Lambert” and I’m taking it with me to read on the plane while I fly across the country on my adventure this upcoming week! LOTS OF GLAMBERT LOVE & HUGS! MUAH! You nailed it. This helps define it all. 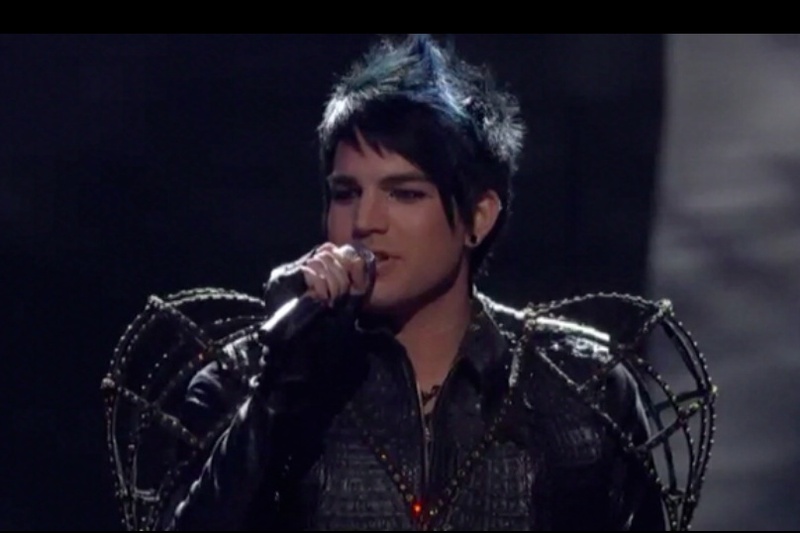 There is such an ethereal, mystical quality to Adam that at once inspires and tantalizes. I thank you. You are articulate, you are eloquent, you are da bomb! Adam is jalapeño peanut brittle: hot/sweet. Yeah, Juneau ~ nice cheese! 🙂 And thank you so much for your kind encouragement. A friend of mine (I just typo’ed “fiend” – yeah, that too…) has a poetry blog on WordPress. Perhaps I’ll follow suit. Per the anhedonia thing: Adam gives the lie to that. Evidently I am capable of experiencing pleasure. I definitely enjoy your “musings”! Note to self: obtain a copy of “On the Meaning of Adam Lambert”. Cheers! Buy a copy. No, buy three. (shortly after break of dawn). Race with lust, tho’ we’re old farts. Who’d think that hot could be so sweet? Rather knocks us off our feet. Make life-size prints to hang by beds. Hither come… Step off the page. To Annahedonia I say, what a wonderful muse powered expression your poem is. To the question of whether we want to meet him…we know he is approachable within the structure that celebrities must have to keep their sanity and safety. He talks about his imperfections on camera as he is wondering how he became who he is. Self deprecating and charming as he admits his insecurities…that he was overweight and an outsider as a kid. We all know he doesn’t have perfect skin and is a redhead from the neck down, but he creates himself into this otherworldly being for our pleasure and his own, yet remains our friend, always thankful of everyone who put him where he is. So, yeah I’d love to meet him, because of what Juneau said… I read the top post and laughed out loud, because just yesterday I did have the plumber fixing things and then waited until my daughter got home at 1:30 am after driving to a concert with three friends. I am a yogi and wondered if we have a sub group: Adam loving, single parent of teenagers, yogis who live near Boston. I’m going to Cohasset show …anybody else? I would love to go to the Foxwoods show, but I am leaving on vacation next week to Italy, so have a delightful reason to miss out on that one. This is wonderful that you are Boston based, because I have gone by myself to AI last year, and the Kiss concert a few weekends ago, and it would be nice to meet up with folks. I am hoping the Cohasset show will have a lot more acoustic, as it is in the round and a smaller place. Actually, I’m thinking I will have to find the money to go to another performance, as the cool background effects we see in Adam’s tour so far, might not be possible in the tent like venues. Maybe I will try to pick up a ticket to Providence…sometimes you can get a single in a good location, even for a popular show. Then I am really indulgent seeing him both on Aug. 17th for Providence, and Aug. 20th in Cohasset. Do you have a caravan going to Providence…if I score a ticket maybe we can meet up. I live in Acton, MA. Otherwise, I would enjoy meeting you, talk about all things Adam…do lunch or dinner. Adam at Lupo’s in Providence…who’s going? Do we have to sleep on the street for the open floor ticket?